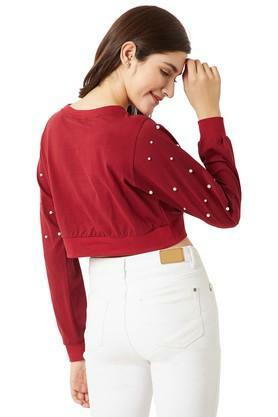 Wear your attitude with this boxy crop top from Miss Chase. Made from cotton fabric, this top comes in a perfect fit and will be comfortable all day long. 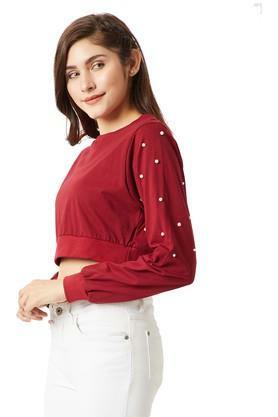 Featuring a round neck, full sleeves and solid pattern, this top boasts of enticing taste. 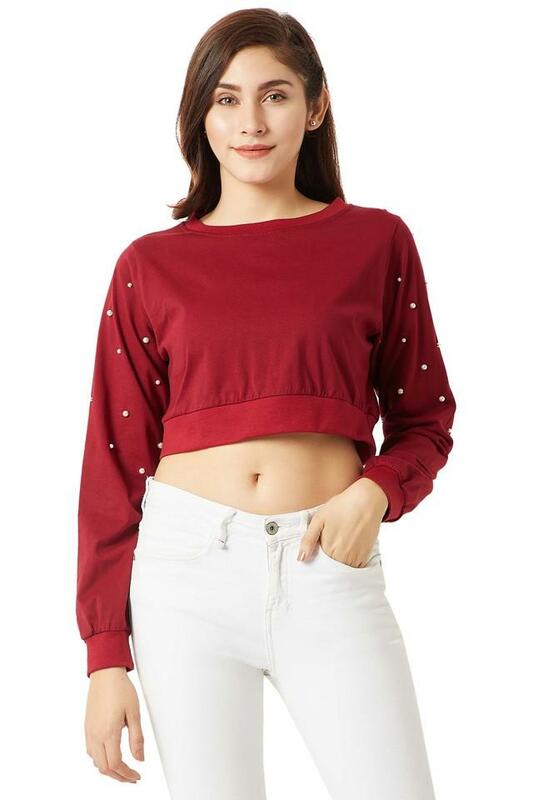 Add a feminine print to your occasion wardrobe with this boxy crop top. Make your casual outings stylish by teaming this top with a pair of distressed denim shorts and sandals.